"In the blink of an eye. Everyone disappears. Gone. "Except for the young. Teens. Middle schoolers. Toddlers. But not one single adult. No teachers, no cops, no doctors, no parents. Just as suddenly, there are no phones, no Internet, no television. No way to get help. And no way to figure out what's happened. "Hunger threatens. Bullies rule. A sinister creature lurks. Animals are mutating. And the teens themselves are changing, developing new talents—unimaginable, dangerous, deadly powers—that grow stronger by the day. "It's a terrifying new world. Sides are being chosen, a fight is shaping up. Townies against rich kids. Bullies against the weak. Powerful against powerless. And time is running out: On your birthday, you disappear just like everyone else..."
To enter the giveaway, email me (scroll and click on the envelope) with your name and snail/street mail address by 10 p.m. CST Aug. 11! Author Interview: Annette Curtis Klause from Reviewer X. Peek: "Each book has its own time. Some of the creating is done before I even actually touch the keyboard, and each book has its own length of time before it reaches critical mass and I can start to write. I need to know enough about the book to begin—it might be seeing the setting in my head well enough to walk in it, or the character coming alive in my head, or I know the mood or the sound track." Read a Cynsations interview with Annette. Take a peek at literary agent Barry Goldblatt's client retreat from YA author Jo Knowles. Read Cynsations interviews with Barry and Jo. Newbery Trivia from Linda Sue Park. Peek: "This quiz is for zealous Newbery fans only--good luck!" The Horn Book Web Watch suggests consulting a list of winners. Read a Cynsations interview with Linda Sue. BitterCon: Urban Fantasy Expectations: Fantasy or Romance? from KG's Booklog. Note: For my own related work, I use the term "Gothic fantasy" genre bender. "Urban" seems an off fit as my next two short stories are set in small towns, and "Gothic" implies a certain dialog with old-school literary precedents, which is definitely ongoing. That said, I'm a fan across the board. 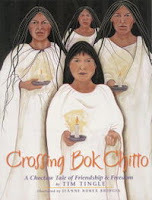 Crossing Bok Chitto receives 2008 American Indian Youth Literature Award: a great report with photos on the ceremony and celebration from Cinco Puntos Press. Dark Subjects by Susan Kuklin at I.N.K. Interesting Nonfiction for Kids. Peek: "Interviews work particularly well when facing dark subjects, such as boy soldiers, Nazi youths, or teenagers on death row. Nevertheless, dark subjects can be difficult on many levels." Ghostly Tidings by Madeline at BookKids Recommends. Check out her suggested ghost stories and suggested favorites of your own! Going to Market: Jennifer Laughran on being a Bookstore "Gatekeeper" from the Class of 2k8. Read a Cynsations interview with Jennifer. Author Debbi Michiko Florence is holding a drawing in honor of the summer Olympics in Beijing, China. "The first prize is a signed hardcover copy of China: A Kaleidoscope Kids Book (Williamson Books, 2008) and an official Beijing 2008 Olympic pin, featuring the Temple of Heaven. 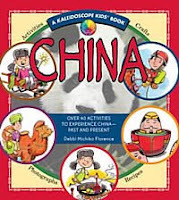 The second prize is a signed paperback copy of China and a window decal that reads 'USA: The Road to Beijing 2008.'" Deadline: 8 p.m. PST tonight. See details. Read a Cynsations interview with Debbi. Do you have links to Booksense on your site? Remember to change them to Indie Bound, a new program for shopping at and otherwise supporting independent bookstores. 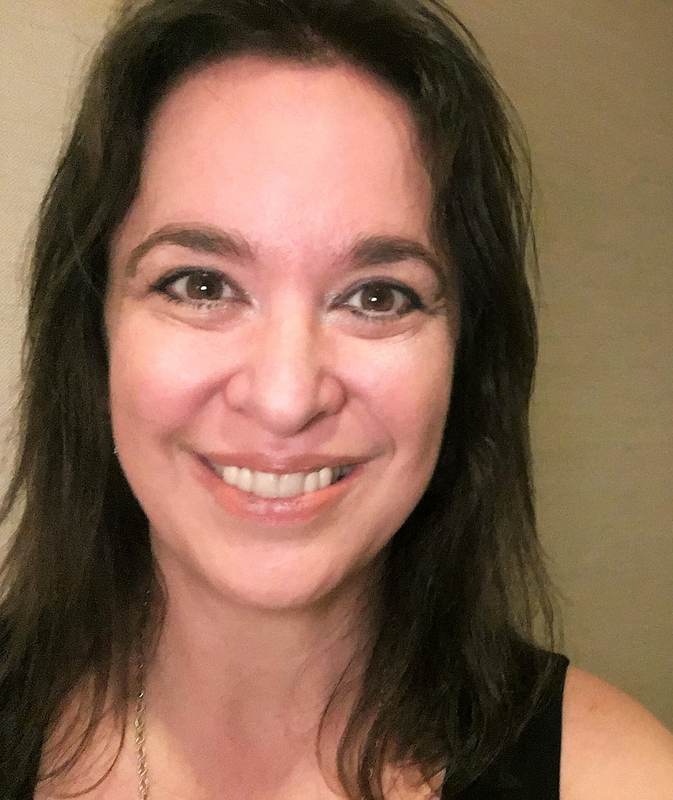 Interview with Marlene Perez on Dead is the New Black from Debbi Michiko Florence. Peek: "I love stories of the supernatural, ghosts, vampires, werewolves, etc. and then somewhere I read that a real-life psychic investigator had daughters who were psychic, too. The first thought that popped into my mind was that I'd hate to be the only non-psychic in a family of psychics and the story just grew from there." Author Sharon Darrow debuts her LiveJournal. Sharon Darrow is a fellow faculty member at Vermont College of Fine Arts. She writes in pose and poetry for picture book through YA readers. Read a Cynsations interview with Sharon, and surf over to welcome her to the kidlitosphere! International Association of School Librarians Conference: Beyond the Book Session Notes from Audiobooker: Confessions of an Audio Book Addict. No Flying, No Tights: a graphic novel review site for teens. See also The Lair for Teens and Adults and Sidekicks for Kids. Swan's Island Library (Maine) was destroyed in a July 24 fire, believed to have been started by lightning. Note: "The loss of the library building and its contents is devastating for the island. Much of the historical contents of Seaside Hall, including photographs, old town reports, artifacts, and more, were moved to the library last year and are now lost forever." Donations are now being accepted for the rebuilding of the library. See more information. Author Kathi Appelt's official website has been redesigned. Surf over and take a look! PENPals: A Correspondence with Markus Zusak and Susan Campell Bartoletti from PEN American Center. Peek: "Their conversation through more than a dozen messages in over a month ranged from children and dogs to research techniques to the crippling doubts that writers battle." Source: fuse #8 production. Author Interview: Nora Raleigh Baskin on The Truth about My Bat Mitzvah from Jewish Books for Children. Peek: "This book is very much my story, although in my case, it wasn't that my Jewish mother was unobservant, but that she had died when I was three years old." Author Interview: Christopher Golden on Soulless (MTV Books, Oct. 2008) from Little Willow at Bildungsroman. Peek: "I've never seen or experienced anything that has convinced me that spirits are real, but I'd like to. I did take a photograph in France a few years ago that any rational person would have to agree seems to show a specter of some kind. But it isn't incontrovertible proof, and that's what I'd need." Learn more about Soulless. Enter to win August book giveaways at TeensReadToo! Author Ellen Wittlinger is a guest at the K. L. Going Forums. Surf by to ask a question or catch up on the conversation. Read Cynsations interviews with Ellen and K. L. See also a new interview with Ellen from the Class of 2k8. Kidlit Central News: Children's Writers from the Central United States. Note: having been raised in large part in Kansas and Missouri, I especially applaud this effort! Author Videocast: Terri Clark Teri talks about Breaking Up is Hard to Do (Graphia/Houghton Mifflin, 2008), which she co-authored with Niki Burnham, Ellen Hopkins, and Lynda Sandoval. The video below is the first of a four-parter; don't miss the rest here. Why I Never Ever Multitask: the Magic of Mindfulness or Quality of Quantity by Robin Friedman, originally published in Blush magazine (PDF file). Read a Cynsations interview with Robin. Glossary of Important Literary Terms Which I Could Find In a Craft Book If I Could Bring Myself To by Carrie Jones at Through the Tollbooth. Note: look for continuing posts. Peek: "Amazonaddictionitis." Read a Cynsations interview with Carrie. An Interview from Elizabeth Scott on Living Dead Girl by Pam B. Cole from ALAN. Peek: "I think it's easy to get outraged over a child's abduction, but it's also equally easy for us to see something—someone—that makes us uncomfortable, a moment or an expression that give us pause, and to do nothing." Read an excerpt (note: PDF and for ages 16-up). City of Glass (McElderry, March 2009) excerpt by Cassandra Clare from her MySpace blog. Read a Cynsations interview with Cassandra. War: a thematic bibliography of picture books, fiction, and non-fiction with specified age level from Claire Gross at The Horn Book. Source: Read Roger. GCC Presents...Lara Zeises from Sara Hantz: Teen Fiction Writer. Peek: "Sometimes when I’m giving presentations people ask me how I became an authentic teen writer, like did I eavesdrop on kids at the mall, or did I read a lot of teen magazines? And my answer is always the same: I didn't really have to work at the teen part. That's my voice, that's my sensibility." Interview with Debut Author Daphne Grab by Debbi Michiko Florence at One Writer's Journey. Peek: "I wanted to write about a girl who was dealing with a sick parent. My dad had a degenerative illness, and it was such a huge and life changing experience for me that I wanted to write a book about it; not a memoir, but something where I could tap into my feelings from my experience." SCBWI Nationals: a series of posts by Alice Pope at Alice's CWIM Blog. Don't miss: Cecilia Yung: Everything You Ever Wanted to Ask an Art Director; Emerging Editorial Voices Panel; All About Agents; Michael Bourret: The Long Haul; and more! A radio interview with Julia Durango, author of The Walls of Cartagena (Simon & Schuster, 2008) and Tracie Vaughn Zimmer, author of The Floating Circus (Bloomsbury, 2008) by Rick Kogan at WGN Chicago. Listen here. Read Cynsations interviews with Julia and Tracie. Children's books: The G-rated apocalypse from The Take-Away: Susan Beth Pfeffer, author of post-apocalyptic childrens books, Life as We Knew It (Harcourt, 2006) and The Dead and the Gone (Harcourt, 2008), and Dr. Frank Gaskil, child psychologist. Read a Cynsations interview with Susan. Note: Susan rocks this interview! Question of the Week: Ally Carter from Robin Friedman's JerseyFresh Tude. Robin asks: "Did your publishing experience turn out as you expected?" Pitch Clinic: Editorial Anonymous's Temporary Blog (May Be Taken Down at Any Moment). Note: check it out while you can! Choosing Among Projects from Nathan Bransford--Literary Agent. Peek: " There's a major dilution effect--the more projects described in a query, the less each one stands out." Read a Cynsations interview with Nathan. The Dual Audience for Picture Books from Darcy Pattison's Revision Notes. Read a Cynsations interview with Darcy. "The primary focus of ArmadilloCon is literary science fiction, but that's not all we do -- we also pay attention to art, animation, science, media, and gaming. Every year, dozens of professional writers, artists and editors attend the convention. We invite you to attend the convention especially if you are a fan of reading, writing, meeting, sighting, feeding, knighting, and all the other things folks do at a sci-f/fantasy convention." Note: I'll be on the program (not sure of the specifics yet), and I hope to see y'all there! "Five Things To Consider When Plotting a Novel" with Helen Hemphill from Austin SCBWI on Aug. 16 at Barnes and Noble Westlake. Helen is the author of the middle grade novel Runaround (2007) and the young adult novel Long Gone Daddy (2006), both published by Front Street. Her new novel, The Adventurous Deeds of Deadwood Jones (Front Street, 2008), will be published this fall. Helen holds an MFA in Writing for Children and Young Adults from Vermont College. April Lurie will celebrate the release of her latest book, The Latent Powers of Dylan Fontaine (Delacorte, 2008), with a book signing from 2 p.m. to 4 p.m. Aug. 30 at the Barnes & Noble in Round Rock! Note: see you there! 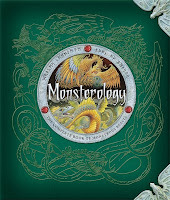 Enter to win a copy of Monsterology: The Complete Book of Monstrous Creatures by Dr. Ernest Drake, illustrated by Douglas Carrell, Nicholas Lenn, and Helen Ward, edited by Dugald A. Steer (Candlewick, 2008)(inside spread)! To enter the giveaway, email me (scroll and click on the envelope) with your name and snail/street mail address by midnight CST Aug. 11! 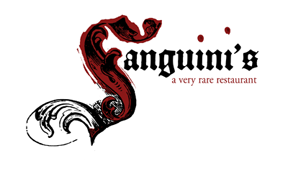 Either: (a) name your favorite monster and briefly explain why; or (b) share your favorite line from Tantalize (Candlewick, 2007, 2008)(note: include the page number and whether you're quoting from the hardcover or paperback; a member of Tantalize Fans Unite! is collecting favorite quotes, so this should help). Please also type "Monsterology" in the subject line. 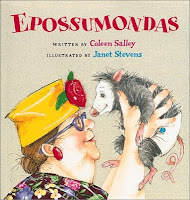 Author Kimberly Willis Holt writes that children's book author and youth literature supporter Colleen Salley is "not doing so well." Kimberly adds: "Yesterday was her birthday. Her children said they will read every card that she receives. Coleen has many friends that I know would love to send her a card." Here's the address: St James Retirement; ATTN Coleen Salley; HCE 503; 333 Lee Dr.; Baton Rouge, Louisiana 70808. See Kimberly's report. Note: please spread the word. More personally, my upcoming short story "Cat Calls" will appear in an anthology now titled Sideshow: Ten Original Tales of Freaks, Illusionists, and Other Matters Odd and Magical (Candlewick, July 2009). Note: the original working title was "Cabinet of Curiosities." A friend of Cyn? Keep in touch with me at Blogger, LiveJournal, MySpace, JacketFlap, and most recently, Facebook!